I started new tests with different models and available slicers. New is the slicer “mattercontrol“. But I have tested updated versions of known slicers as well. 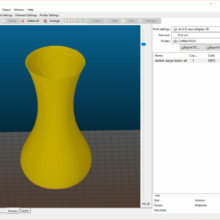 A kind of new is the Prusa version of Slic3R, with a new great dynamic layer height feature. It’s called a “prusa’ version but is suited for the craftBot as well. More in depth tests have to be done, as well tweaked profiles for the CraftBot, but these are the first results. Click here to download the pdf. 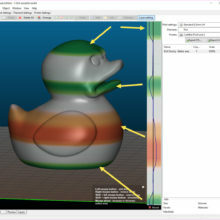 Slic3R is developed steady by Alessandro Ranellucci and available on Github, see here. Earlier versions were great and had some features other slicers hadn’t. Unfortunately it didn’t work great with my specific models as architectural models and thin walled models. 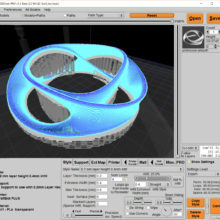 Slic3r is forked on Github to an “prusa”version. See here for the code to compile. . That version has some unseen features, as a dynamic layer height**, but works better to generate architectural models too. 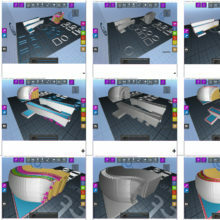 In general: it’s a great flawless slicer, that addresses all known extreme to print objects, as with thin walls, thin overhangs, support detection, crowning or gap filling etcetera. Beperkt getest profiel voor de CraftBot met Slic3R (gratis) als Slicer. 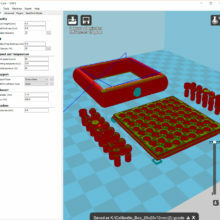 download het profiel: Slic3R 1.29 PLA for CraftBot (rechts klikken op de link en “save link als” klikken.) Graag feedback over dit profiel, aangezien we Slic3R beperkt gebruiken. 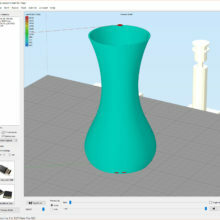 Download Slic3R hier.